Oct 09, 2018 Hi Doreen - Thank you for your feedback - we definitely want to take action to make things right. Our National Direction of Installation Services has reached out to you to resolve this issue. Please return our phone call at your earliest convenience. 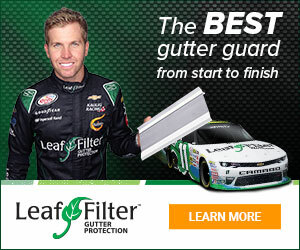 If you further questions, don’t hesitate to call us at 800-749-4566. This product does not work on all houses, I strongly suggest anyone who is considering this company to look at the BBB and Attorney Generals office. And get it in writing the resolution if this products does not work for you. 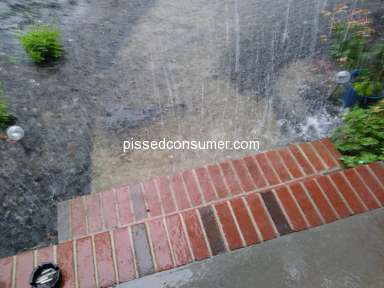 I got the gutter system installed 5 months ago, within 48 hours it rained and the system does not work on my house, the system itself blocks the gutters, the rain rolls right off my house like I have no gutters it is causing flooding at my foundation. 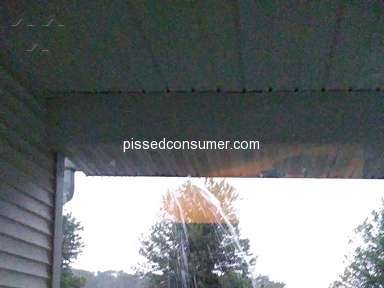 The system also is causing water spouts (a 5-7 inch round water spout that shoots off the roof) one is right at my front door. The company does not return phone calls (unless you are disputing the charge with the credit company) then they pretend to be willing to resolve the issue so the credit company will put the charges through, however they will still ignore you. They added flaps to my house (without my permission) they look hideous and they made the issue worse. 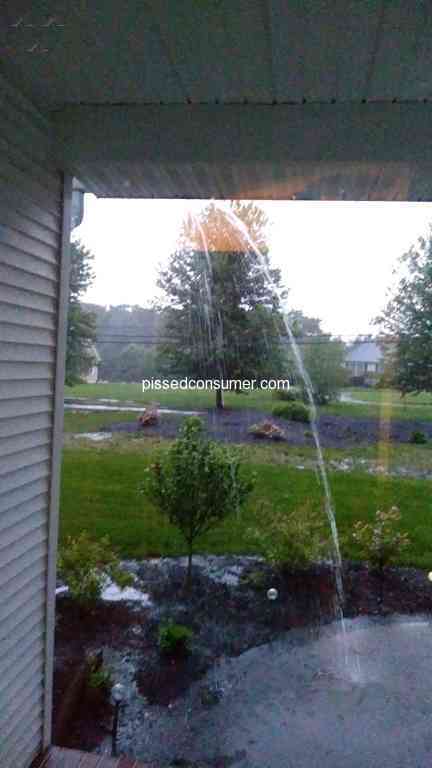 see below, waterfall coming off the roof, flood at my front door and water spout. still waiting for a call back....Class action suit sounds pretty good to me....Actually it appears a law suit will be the only way to resolve, so think twice about using this company. Reason of review: poor CS, Defective, not as described or stated on contract. Review #1373129 is a subjective opinion of LoyalMonteIberiaEleuth.